Wikidata is becoming an increasingly important knowledge base whose usage is spreading in the research community. 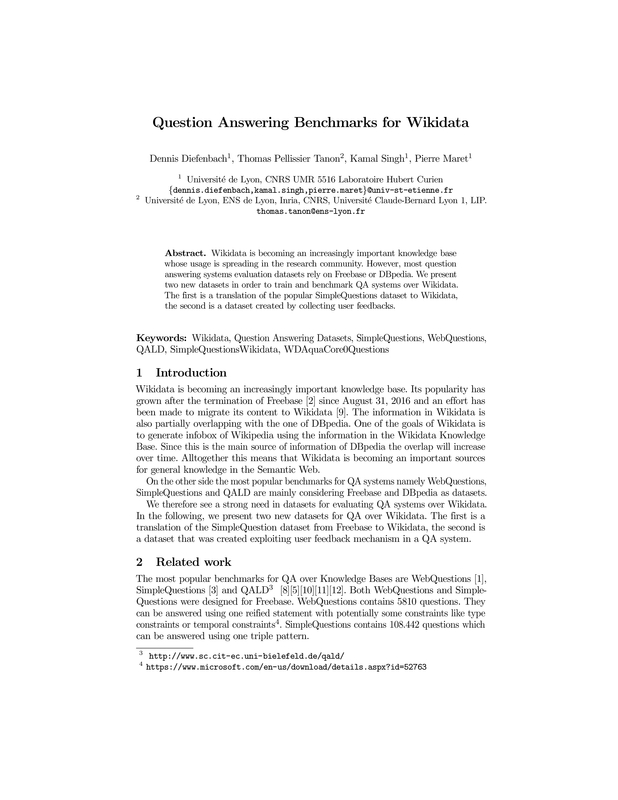 However, most question answering systems evaluation datasets rely on Freebase or DBpedia. We present two new datasets in order to train and benchmark QA systems over Wikidata. The first is a translation of the popular SimpleQuestions dataset to Wikidata, the second is a dataset created by collecting user feedbacks.